Caring for Kids of All Walks of Life. 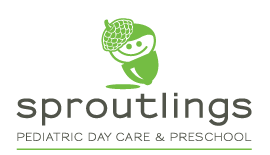 Sproutlings Pediatric Day Care & Preschool provides an extraordinary place, with state-of-the-art resources, where every child can feel cared for, comfortable, safe and stimulated. At Sproutlings, parents can feel at ease and confident with the care of their children, so they can turn their attention to life’s other commitments. Our unique approach begins with our designation as a referral-based Prescribed Pediatric Extended Care (PPEC) center for medically fragile children. It continues with our integration of traditional day care services for children without special needs. 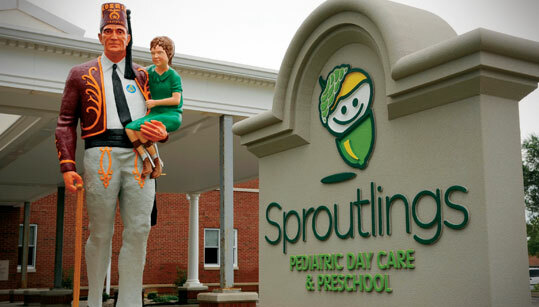 Located in Kosair Charities Center on Masonic Homes Kentucky’s beautiful 82-acre Louisville campus, Sproutlings offers care for kids in a specially designed 13,000-sq.-ft. space. Explore the facility. Sproutlings is happily supported by Kosair Charities. Their generous funding brought the concept of the Kosair Charities Center, including Sproutlings, to breathtaking life. For nearly 150 years, Masonic Homes Kentucky has been offering hope to individuals and families. The Masonic Widows and Orphans Home, the first home of its kind, was established in Louisville in 1867. A sister facility called the Old Masons Home opened just east of Shelbyville in 1901. Both homes eventually merged in 1993. Since our founding, the Masonic Homes has been a non-profit corporation, providing charitable care through gifts from Kentucky Masons and others who want to help make a difference in people’s lives. Sproutlings Pediatric Day Care & Preschool is continuing our proud legacy of supporting the needs of local families.